Please note: I am not getting paid for this review, nor have I received any compensation including free gear from Saucony. I’m just a runner. Well, I am a little further along from where I said would review again. I continue to rotate through my various shoes, but the last 3 weeks has seen a volume increase on these as the other ones have worn down respectively with one of the other pairs being fully retired. 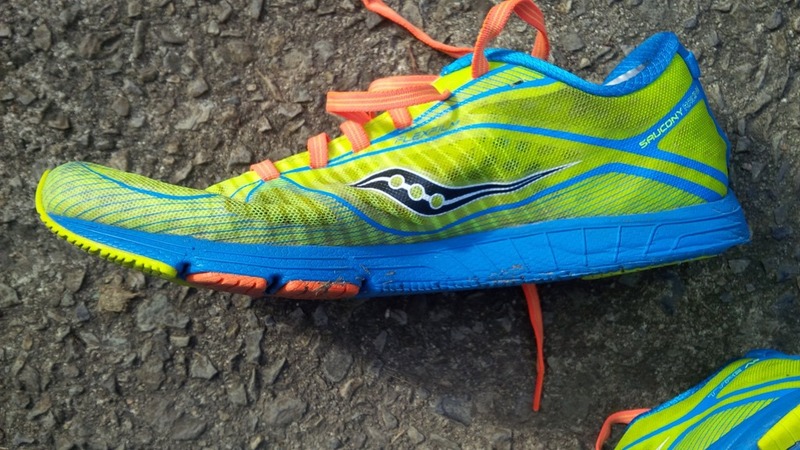 This means, these shoes have seen more long runs closer together. It is becoming very obvious that they are starting to reach the end of their life cycle. – The support along the upper is now starting to fold slightly and I have had to adjust the laces at least twice to snug the shoe back up. – The foam is starting to give way, and the cushioning is not quite as energetic. Certainly, I am feeling the impact more on the long runs then I did. – The fabric on the inside of the (heel) back of the shoe has rubbed away and I have had to place duct tape. 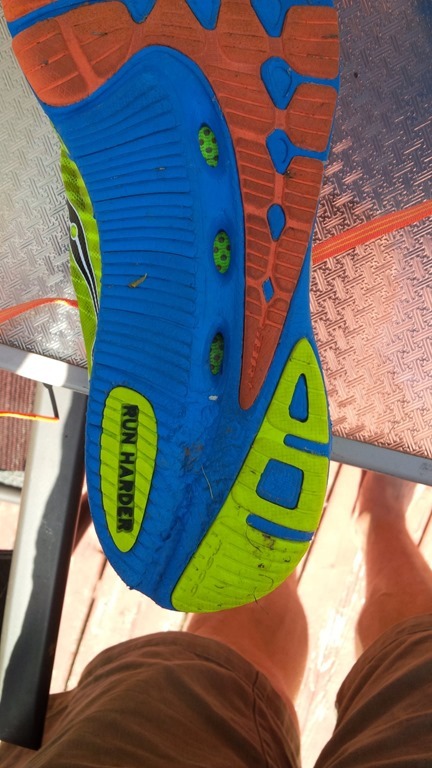 This caused some blisters while running one day. 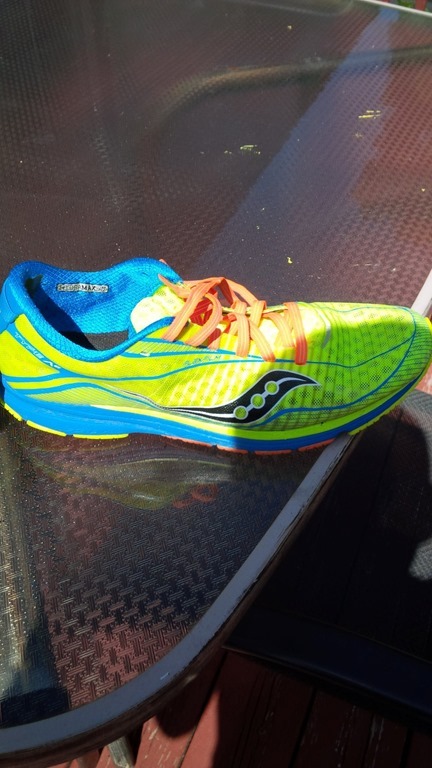 However, this shoe is considered a minimal shoe and a racing flat. So, in my humble opinion, at almost 300KM this is still pretty good. 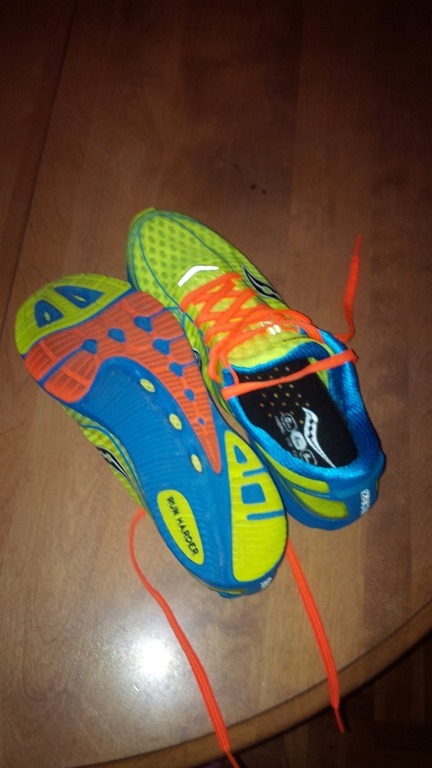 I have now purchased another pair of these and I intend to start phasing this pair out and limit the runs to shorter, intensity runs 15K or under. Overall, I like this shoe a lot and I will continue to purchase. But – I would have liked to see it hold up a little longer and this is why I knocked the durability down to a 4. 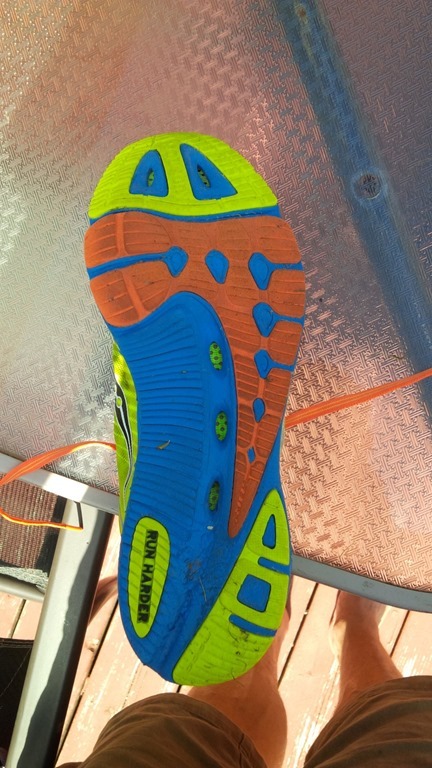 Tied to that, I knocked performance down too since it impacted my training slightly as the shoe has degraded, especially in the last three weeks. The 2 pairs of A5’s I have been rotating through are at ( or just over )400KM and I am hoping to see this shoe hit that as well. Here is my rating. I’ll put one more review out at 400K or earlier if the shoe goes out of commission before that. I’ll be honest, at this point, I am very..VERY happy with this shoe. The sole is standing up to the pounding of rural life so far and the upper is much better than the last pair. I honestly would say, that so far, these shoes are definitely an improvement over the A5. I am still rotating my two older pairs of A5 and this pair, but at 136K I have enough miles on them to get a feel. I also raced once in them, and they came through with flying colours. The Upper has been through a few bouts ‘o sweat and water, including one Triathlon so a little collapse is normal. However putting the shoe on, it still fits nicely and there has been no need to adjust laces. 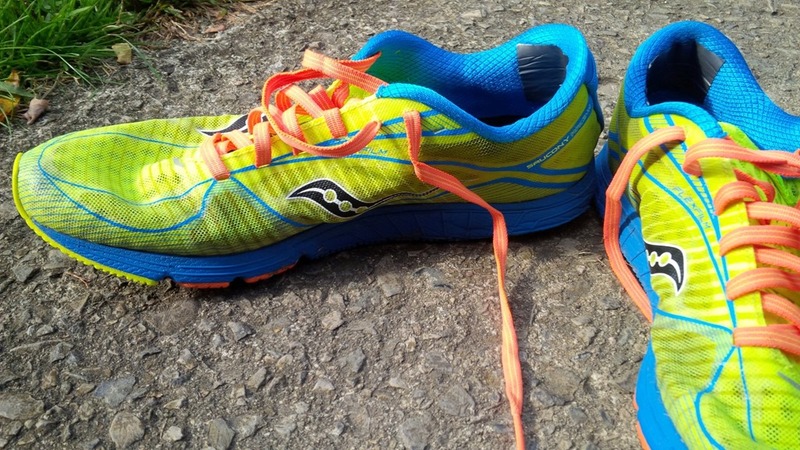 I’ve decided to do a real time, ongoing review of the Saucony A6. 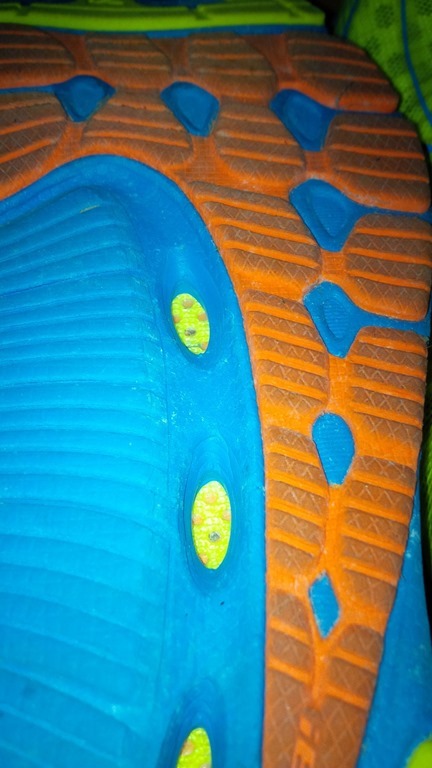 Every 50K or so, I’ll provide an update on the shoe and how it is holding up. Why? I loved the A5, and I came to the A5 out of necessity. I want to love the A6, but I am concerned about the wear of the sole as it appears to have reduced for the most part to blown rubber that many companies are using to reduce weight. 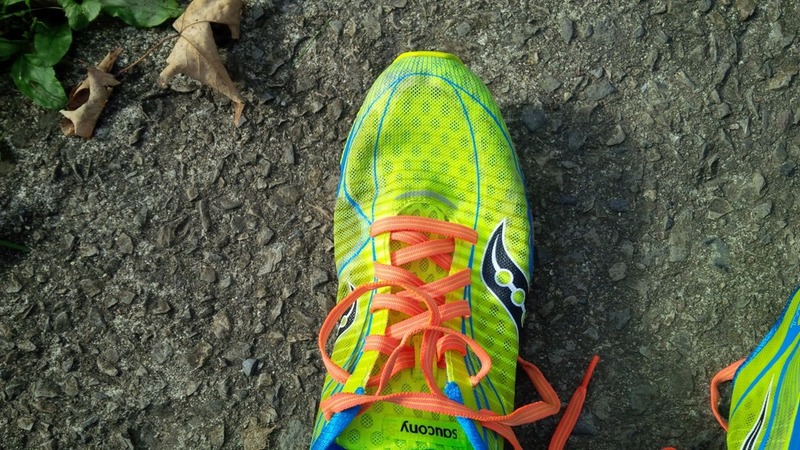 If you’ve read my review on the Mizuno Evo’s, you’ll understand my concern. Conditions around my house – Rural Canada, Eastern Ontario. It’s a mix of dirt roads, chip and tar pavement and real pavement. 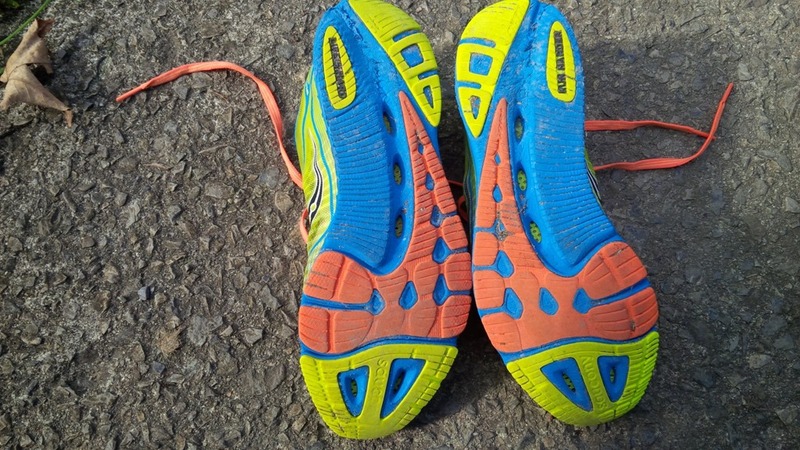 Initial Impression – shoe feels more durable and a little stiffer. It’s very light and the Upper certainly gives the impression it will last longer. This is line with the current communications going out. This was a Taper week for me heading into an Trail Ultra on the weekend, so I had a single low mileage run to do on the 9th. I slid these on for the 8K run. The feel of the shoe was very nice, and actually seemed to fit my foot a little better than the A5. The upper seemed much more in tune with how my foot curves and this meant it relied less on me playing with laces to get the fit correct. The stiffness of the sole made itself known, but it was a good mix and did not take away from the purpose of the minimal feel. The run, although only 8K, was very comfortable and the ride smooth. 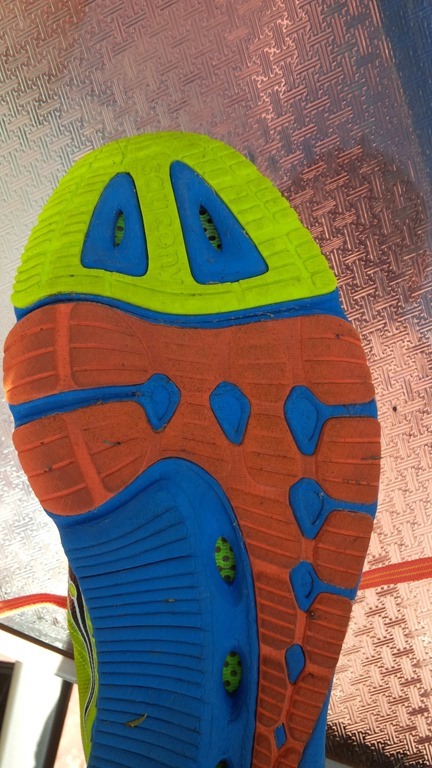 Now…all shoes are smooth at the start right? That’s why I am reviewing every 50K. On completion, I took them off and inspected. They were a little dirty..but all was well. I am hopeful that nothing was lost and that the A6 will be as good a shoe as the A5. See ya soon!! Stay Tuned!